Successful change initiatives are driven by leaders and their teams, not solely by an individual chancellor, president, or dean. In the higher education environment, the individuals at the helm work strategically to develop a bold vision for their institutions and then devise an inclusive pathway of collaboration to achieve that vision. As the frontline change agents, they seek ways to influence and reframe opinions about newly proposed strategies that address trends in student needs, financial shortfalls, academic excellence, student access, and expectations of accountability. However, it is through a shared-governance model that they are able to create buy-in for change initiatives from a complex array of campus constituents. Responding to 21st-century needs of students: year-round classes, online learning, consolidation of programs or campuses, brandingtodifferentiate the university or college, the need for globalization, STEM (science, technology, engineering, and math) initiatives, and the balance between athletics and academics. Although most institutions have strongtactical teams and action plans in place for the first two sources of change, which are recognized by the campus community as legitimate crises, the thirdis in many ways more complex and riddled with status quo behavior and cultural roadblocks. Thepresident’s leadership role in crafting the future direction, while a primary driver of change, must be supported by the cabinet and other high-level colleagues in their roles as change agents as well. Accordingly, it is important for the team to understand not only the president’s vision of the future but also how to effectively communicate the need for change in ways that will be embraced over time, thereby helping a university or college survive and realize its full potential. The capacity to understand how to create effective leadership teams, which, in turn, will serve as change agents, speaking with one voice to effectively communicate key messages and increase the level of acceptance. University leaders need to be able to craft a compelling vision for the future and communicate that vision through a convincing story that celebrates the history of the university and demonstrates the need for change. As part of that process, it is important to use versatile language that resonates with diverse constituent groups. That means addressing each group’s concerns, fears, and needs when presenting the change initiative. It is not enough to simply know that the data available support a decision and direction. Higher education leaders have to appeal to the heart and the passion for the institution as being greater than the sum of the institution’s parts. afoundation for addressing competing priorities. 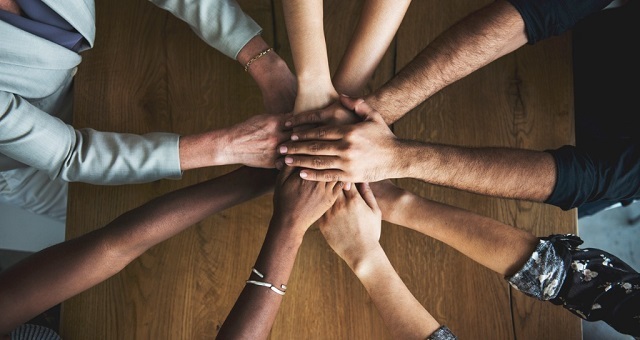 The second critical skill of effective change agents is the ability to utilize a collaborative style as an inclusive leader who can connect to diverse constituent groups and gain buy-in through involvement. This includes the willingnessto dialogue with various groups and individuals, using formal and informal consultative processes that build trust. These leaders also demonstrate confidence in responding to questions from detractors while managing conflict and divergent opinions. The chancellor garnered much-needed support through these exhaustive efforts, and the campus has been able to move forward and focus on other strategic issues related to becoming a premier metropolitan university. The third skill of effective change agents, strong interpersonal savvy, is demonstrated through empathy with those affected by the change initiative, despite the continuing need for a sense of urgency. Although there will always be a few individual or group contrarians, effective leaders are adept at delivering difficult or negative messages clearly without widely alienating key constituents. To do this, it is essential for leaders to manage resistance to change and consider the possible objections that can arise from faculty, department chairs, students, alumni, and the community. Leadership and change expert John P. Kotter suggests “inviting in the lions” as a strategy for developing trust and buy-in. By welcoming detractors and supporters alike to the table, leaders can better understand the concerns of different groups, thus enabling effective responses to detractor objections. While delivering the message about a change initiative, competent change agents pay careful attention to their audiences. “The most important thing in communication is to hear what isn’t being said,” warns management expert Peter Drucker. Be sensitive not only to what is said regarding the change initiative but also to nonverbal cues from the audience to assess members’ levels of buy-in or distrust. They may make it necessary to reframe the change initiative, the message regarding the rationale for the decision, or the language that is used to convey the message to different constituent groups. Developing a sound change-initiative strategy isn’t enough. The critical factor relates to the chancellor’s or president’s understanding of and ability to create effective leadership teams that will transmit the message to different constituent groups. Directly and indirectly, presidential cabinets and other potential change agents must speak with one voice in communicating the message, rationale for decisions, and significance of the impending change. To accomplish this goal, it is important to select formal and informal leaders in diverse areas who can work together to help move change initiatives forward and encourage buy-in and support. These team members should possess a wide range of skills and influence and be well respected and credible. This will send the message that leaders take the initiative seriously. Change agents are also skilled at influencing and motivating informal campus constituent groups, such as alumni councils, student association groups, and student leaders. Administrators and others engaged in change-management work canspeak with a variety of supporters and detractors, tailoring the message to the needs and concerns of each. Votes of no confidence, protests against tuition increases, andfailed restructuring efforts all demonstratethe need for presidents and their cabinets to be effective in their roles as change agents. Envisioning the future and determining what is right to ensure that colleges and universitieswill survive and thrive, especially in this climate of scarce resources, are not enough. Today’s effective leaders need to create carefully developed change initiatives that clearly focus on how change will occur and how followers and supporters will benefit in their roles and be willing to support the greater good. Barbara Kaufman is president of ROI Consulting Group, Inc. An executive coach and educator, she specializes in leadership effectiveness and organizational development strategies for private- and public-sector leadership teams and boards. She can be reached at drbarkaufman@earthlink.net. For further information, visit www.roiconsultinggroup.com. Reprinted from “Collaboration at the Heart of Successful Change Initiatives” in Academic Leader 28.9(2012)4,5 © Magna Publications. All rights reserved.